Google hasn't revealed any details around its budget Pixel model that could come as the cheaper version of the Pixel 3 and Pixel 3 XL. Nevertheless, a bunch of hands-on images have now surfaced on the Web to hint at the development of the handset that could debut as Pixel 3 Lite. The new model, which appears to be the 'Sargo' that was spotted recently in the teardown of the ARCore app, has thick bezels - just like last year's Pixel 2. Also, it is found to have a 3.5mm headphone jack that was dropped from the Pixel family last year. There is also a distinctly available power button that comes in solid neon yellow colour while the handset has a white colour build. The Pixel 3 Lite is assumed to be priced somewhere between $400 and $500 (roughly Rs. 28,800 - Rs. 36,000). Being a part of the Pixel range, the new Pixel handset is also safely speculated to run Android Pie out-of-the-box. 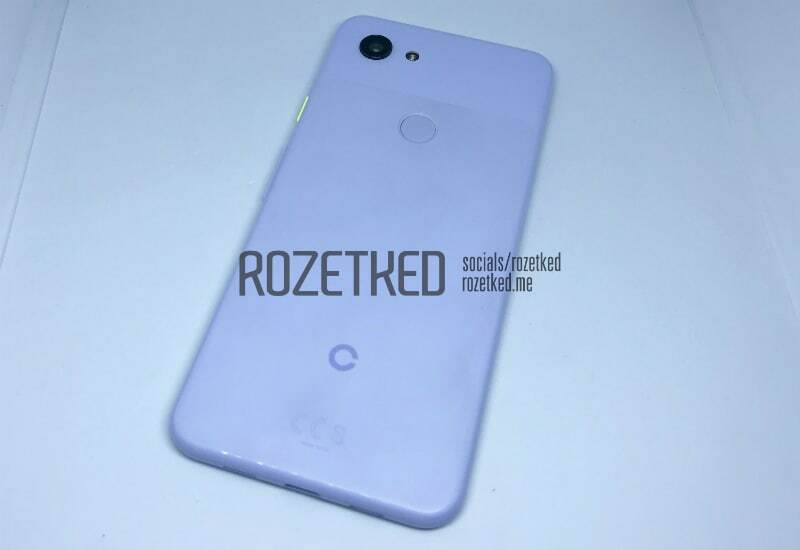 Russian site Rozetked has managed to leak some hands-on images of the alleged Pixel 3 Lite alongside detailing its key specifications and launch schedule. The smartphone has a design similar to the Pixel 3 - with the volume rocker and power button on the right. The display panel of the unannounced phone doesn't have a notch, and the bezels of the display panel aren't as pleasing as the thin bezels of the Pixel 3 XL. On the left, the smartphone is found to have a SIM card slot, while its top side has a 3.5mm headphone jack. Besides, there are components such as the loudspeaker, USB Type-C port, and a microphone grill at the bottom. On the back, the rumoured Pixel 3 Lite has a glossy panel that features a protruding camera sensor and a fingerprint scanner. It also appears that the back panel is made of plastic. This is unlike the Pixel 3 and Pixel 3 XL that both have a glass back panel to support wireless charging. It is rumoured that the smartphone has a 5.56-inch full-HD+ (1080x2220 pixels) IPS display along with an 18.5:9 aspect ratio and 444ppi of pixel density. Also, the handset is found to have an octa-core Qualcomm Snapdragon 670 SoC, coupled with Adreno 615 GPU and 4GB of RAM as well as 32GB of onboard storage. There is notably no microSD card slot to expand the built-in storage. We can speculate that there could be multiple internal storage variants to fill the gap due to the absence of the microSD card slot. Furthermore, the Pixel 3 Lite is reported to have a 12-megapixel rear camera along with an LED flash, 8-megapixel front camera, and a 2,915mAh battery that could support Qualcomm's Quick Charge 4+. As we mentioned, a recent teardown of the ARCore APK revealed Google's plans of expanding its new Pixel family. The teardown highlighted two new Google handsets with codenames 'Bonito' and 'Sargo'. The company didn't reveal any official information around the new models, though the fish-based codenames are likely to be related to the new Pixel models. The handset codenamed 'Bonito' is speculated to have a Qualcomm Snapdragon 710 SoC, while 'Sargo' is expected to be a smaller variant with a Snapdragon 670 SoC. The new Pixel model is rumoured to debut sometime in the first quarter of next year with a price tag between $400 and $500. This is significantly lower than the price of the Pixel 3 that starts at Rs. 71,000 for the 64GB variant and goes up to Rs. 83,000 for the 128GB model in India.